Are you swamped by dirty clothes? Do you mean to do a load of laundry each day and no matter how often you try to get that load into the machine you still just forget? Or are you confused what items you should wash together and what powder or liquid you are to use for different loads? If you struggle to put a load of washing on and then end up with a marathon washing session, you need to work out a system that you can use which will remind you of your washing task. For myself, I have to write this down in my diary everyday; if I forget to do this then it doesn’t get done. Even though the recommended time to learn a new habit is just 21 days, for me this hasn’t happened because I still forget to put it on if it isn’t in my diary. 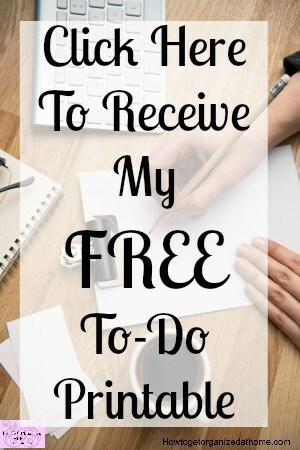 There are some sheets that you can print off the internet that can help you practice a habit for everyday for 21 days; for me they fail because if I miss a day I feel bad and I find it very difficult to get back into the swing of it. If you are looking to get the perfect towels that work every time and they actually dry your body, then you need to forgo the fabric softener. For other wash loads it is possible to use the fabric softener once every four or five washes. When you use fabric softener in your machine you don’t need as much as the recommended dose. This can save you money because your fabric softener will last longer. Which fabric softener you choose will be a personal preference regarding the fragrance and if you like the feel of the clothes. There are some that I think are great and others I have found that I really don’t like and this is a named brand, too. I separate the washing into different colours and fabrics because of the different temperatures that you need to wash them at. With the improved washing detergents this isn’t as important because you can wash your clothes at the lower temperatures. But I would still separate the dark from the light clothes because I want the whites to stay white and not ruined by colours that have run. There are enzymes added to biological detergents and these get your clothes cleaner at the lower temperatures. The non-biological detergents are suitable for people who have delicate skin. It is suitable for young children and babies because their skin is delicate and they won’t be used to the enzymes which can cause the skin to become inflamed and red. There are some detergents that you will like find the fragrance suits you better than others and this is a personal choice. Finding one that you like will make you want to do the washing because there is nothing better than the smell of freshly washed clothes. 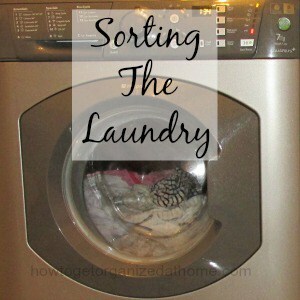 Therefore, if you are struggling with becoming laundry organized you are not alone and there are tricks and tips that you can use to help to keep on top of the laundry.